I’d like to recognize and thank our July Draw a Bird Day artists, who posted their lovely bird artwork for our monthly celebration on the eighth! I would also like to thank Philip Schwarz of Philip Schwarz photography for the wonderful bluebird reference image for my graphite drawing. I hope you all enjoy the bird art this month! and Susan of Susan Feniak’s Art contributed a mama and baby grebe in watercolor this month – are you starting to see a watercolor theme this month?! Many of us are enjoying Charlie’s World Watercolor Month challenge. I hope you’ll join us, if you’ve not already; it’s going on all month! 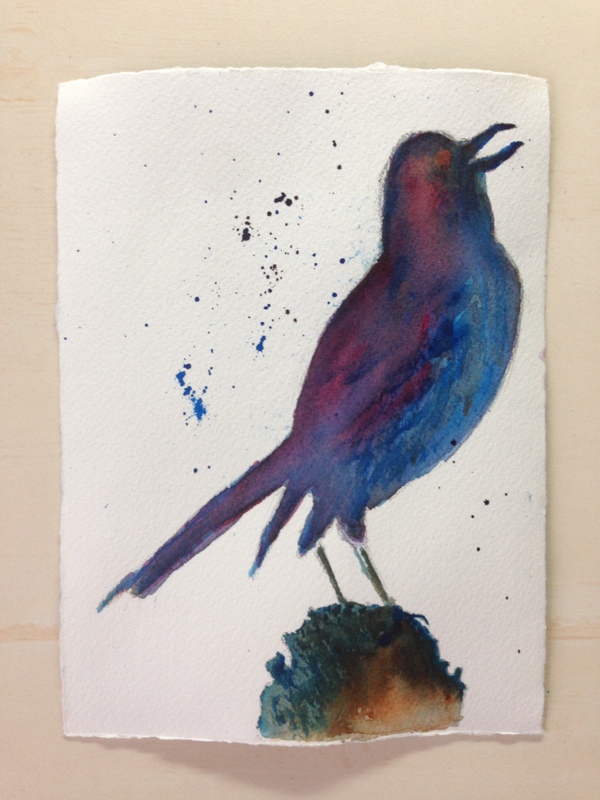 I’d like to close with my entry for World Watercolor Month today, an abstract bird in watercolor. Happy Sunday, and please make time to fill up your peace tank. The world could use a lot more of it! Thank you so much for the mention Laura. 🙂 I do not have a personal relationship with birds as we seldom have them around here. The only bird I often see is a maya. This new journey could be a start of something special. Thank you for the inspiration and for introducing me to birds my bird tutor. 🙂 Now, off to read and enjoy everyone’s entry. You’re so welcome, Carrie! Very glad that you joined us! You are so wonderful to share all the loveliness! What joy you have created! So grateful for you, Laura, for so many things. And you even added an extra abstract bird. Lovely! Hope to find some time to splash some paint today! I love seeing all these feathery creations. Thanks for taking time to put this collection together. 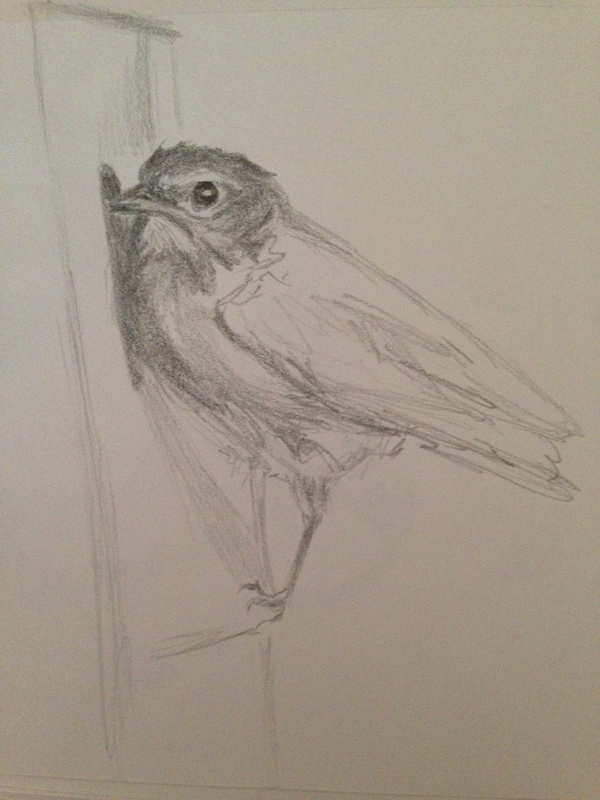 It’s always fun to see so many different approaches to drawing and painting birds. Thanks, as always, Laura for compiling the list. My peace tank is full and ready to be shared! Aw man I thought I’d made it for Draw a Bird Day! Lol. Oh well, that doesn’t matter when all these links lead to such beauty and talent! Very inspiring. Plus theres always next month. 🙂 I really like your abstract bird, Laura. The colours are beautiful. Aw Sissh, I’m so sorry, yes you did but I follow the comments left at the bottom of my DABD post to the links of the artist’s work. I must have missed yours; I’ll go edit, I’m so glad you let me know!! This is wonderful, congratulations to all on their lovely birds! Thanks, Laura! Thanks Annie, so glad you joined us! Your abstract bird is lovely and so cheerful! I can almost hear its song. Thank you so much for the mention, encouragement, and inspiration! All the entries I managed to view are stunning, and so creative! Thanks, Deborah, and so glad that you joined us! Birds inspire us to do so much creatively. To really be free with our art, which IMO is what art is about. It was fun looking at all the links and seeing all the talented artists. If you ever do Draw a Dog a day month I might participate as I have one dog drawing I did – maybe I will be inspired to do more – ha! Awesome Laura! Thanks again for your time and expertise. Topping up my PEACE tank as I type. What a sad world we live in. Thank you Laura for the mention! I love to scroll all the others work! ❤ have a wonderful week! What a neat idea for a challenge! And such beautiful samples of work!! Thanks, Jenny, glad you enjoyed! Love your graphite of the blue bird, very sweet and lovely. Great round up of birds, always fun to see the variety and be introduced to more artists. Thank you for sharing. Thank you, Haunani. I prefer the graphite to the painting this time, myself. I am playing with wc pigments and sometimes……gets away from me a bit. Thanks for sharing all these wonderful bird art pieces. Hope to do some next month.